I always strive to do my best for my patients. Originally from Lebanon, Dr. Halabi earned a bachelor’s degree in chemistry at the American University in Beirut in 1996. He completed a medical degree at the same university in 2000. Dr. Halabi then completed a general surgery internship and residency, in addition to a fellowship in surgery, medical informatics and telemedicine at the Medical College of Virginia in Richmond. He completed a surgical oncology fellowship at The Institute for Cancer Care at Mercy Health Services in Baltimore. Furthermore, Dr. Halabi studied translational research in clinical oncology at the National Cancer Institute in Bethesda, Maryland. 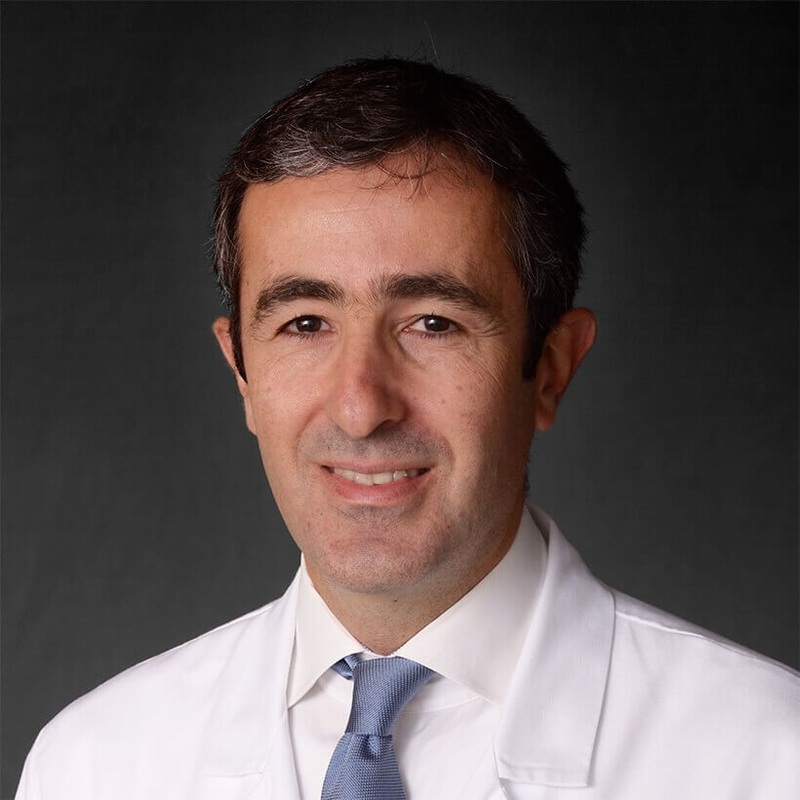 Prior to joining our hospital in August 2014, Dr. Halabi served as Director of Surgical Oncology for a teaching hospital in the Washington, D.C. metro area. He has also served as an attending general surgeon at a large regional hospital in Kentucky. Board certified in general surgery, Dr. Halabi is a member of the Society of Surgical Oncology and the American Society of Clinical Oncology. He is a Fellow of the American College of Surgeons. A dedicated researcher and educator, Dr. Halabi has lectured widely on surgical oncology and has presented work at numerous professional conferences. His original research has been published in several eminent medical journals. Dr. Halabi provides compassionate care to patients requiring surgery as part of their cancer treatment. He performs several sophisticated surgical procedures, including cytoreductive surgery in combination with hyperthermic intraperitoneal chemotherapy (HIPEC) for advanced stage abdominal cancers. Dr. Halabi is also skilled in minimally-invasive, robotic surgery, which is designed to reduce pain, lower risk of infections or complications, require shorter hospital stays and allow a faster return to normal activities compared to more invasive surgical procedures. With the robotic surgical system, he operates on patients by creating a few tiny incisions, with technology designed to provide greater precision and improved access to hard-to-reach areas. Dr. Halabi primarily focuses on surgeries for gynecologic (ovarian, cervical, uterine and vulvar), colorectal and gastric cancers. Dr. Halabi enjoys spending his free time with his wife and three children, playing tennis and exercising.